I was asked to modernise Pageant Pewters old logo. Pageant Pewter is a family business which was established in 1997 and still continues to grow. Their success has been based upon their guiding principle of providing "..quality that everyone can afford!". The idea for this design is centred around the traditional bell tower and medieval tents. Below shows some of my first concept ideas I designed for Pageant Pewter. After many discussions and redesigning, below is how my client wanted his logo to look like. 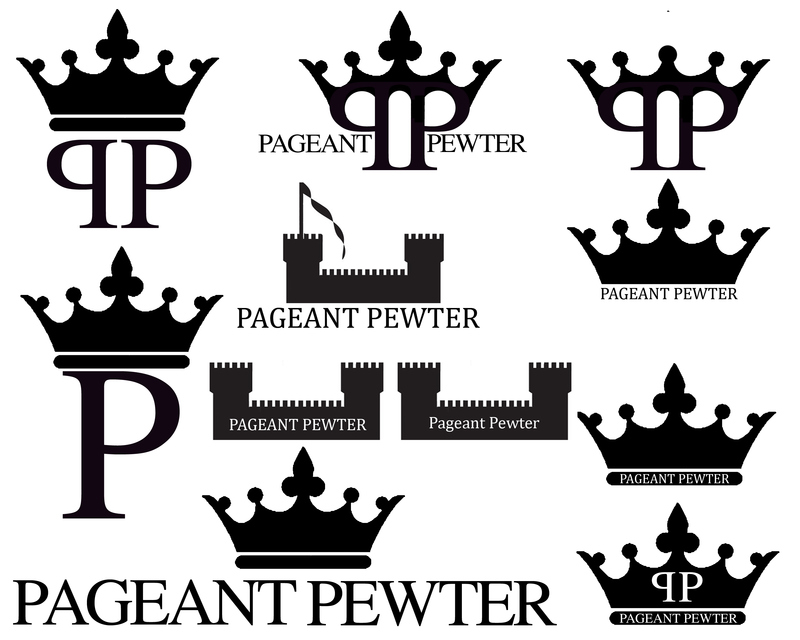 This is the final logo I designed for Pageant Pewter. This logo was a modernisation of their existing logo, which included a simple figure of the bell tower, and keeping a medieval theme with the font.